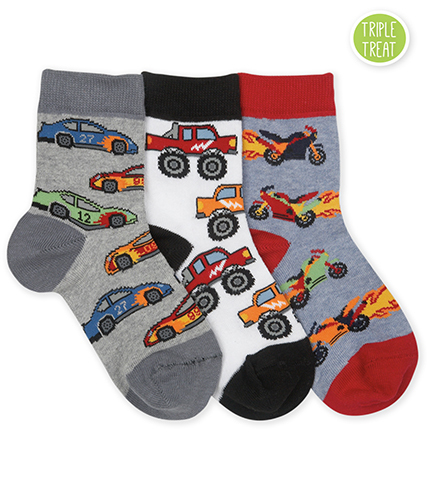 You get all things speedy in this crew sock triple treat; race cars, monster trucks and motorcycles! Triple Treat = 3 Pair Asst. Pack - 1 Pair of Each Pattern Packed Individually.